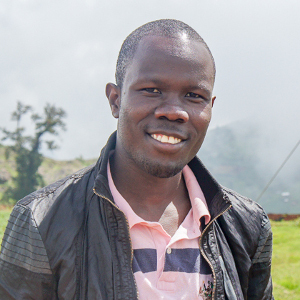 Joshua has three years of experience in the non-profit sector, and earned a Master’s degree in Business Administration majoring in Nongovernmental Organizations Management at Kampala International University. In June, 2014, his passion for peace led him to start Youth for Reconciliation and Leadership, a non-profit community based organization operating in rural areas advocating for peace, fighting poverty and illiteracy. Prior to that, he worked as the IT Support Staff and the Google Suite Administrator at Kampala International University, much of his off work time was spent in mentoring university students in different clubs. In 2013, Joshua received an award as the Star Google Student Ambassador in Sub-Saharan Africa for his leadership, and in May, 2016, he benefited from the President Obama’s Young African Leaders Initiative, Regional Leadership Center (YALI RLC) in Nairobi, Kenya. His years of work experience have taught him skills in grassroots mobilization, improved his cultural intelligence, while his success stories and challenges have taught him humility and a sense of solidarity. As he continues to work within the non-profit sector, he desires to learn new skills in managing growth, stakeholder expectations, conflicts management and sustainable means of fighting poverty.